BeerDownload is the only podcast that pits beers head to head in a tournament style competition to find out which beer reigns supreme. As we always say, BeerDownload is the only podcast that pits beers head to head in a tournament style competition to find out which beer reigns supreme. The original 256 beer tournament was seeded in 2009, commenced in 2010, and concluded in 2014. In 2015 Matt and Steve took to the airwaves bringing BeerDownload to the masses on 105.5 FM Lumpen Radio. 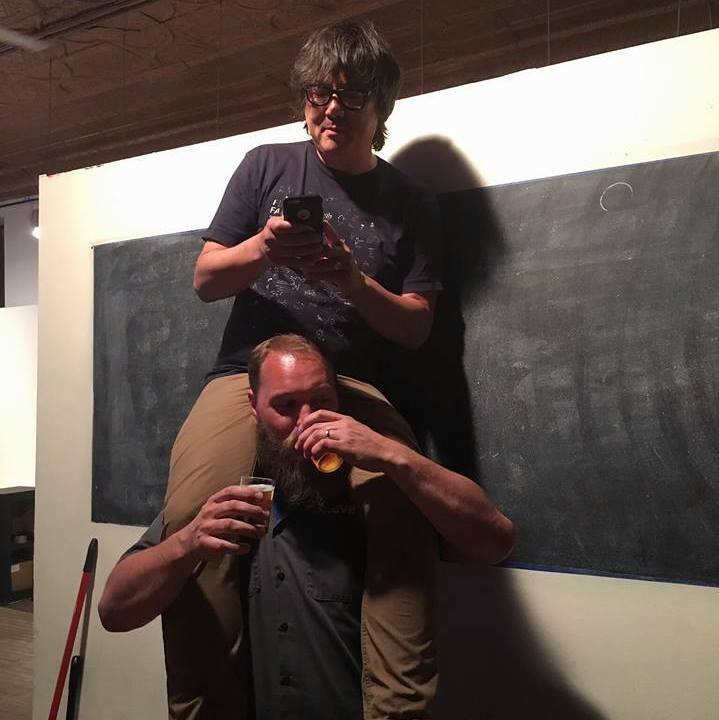 We are a Beer Podcast and we are running Beer Tournaments. We originally had 256 slots available in the tournament, most of which were seeded by Steve in 2009. At our one matchup per week pace the tournament took roughly five years to complete, and the champion beer was crowned in late 2014. Prior matchups and the plans for upcoming weeks can be viewed via the bracket link above. For additional details, listen to episode 0. The show has roots in 2008, was fully conceived in 2009, and kicked off in January of 2010. Whether you want to listen from the beginning or dive right in midstream, we hope you enjoy the show. We are proud to say that BeerDownload is a Podcast Award winning podcast. We won the food and drink category in 2010. Cheers and thanks to everyone who voted. 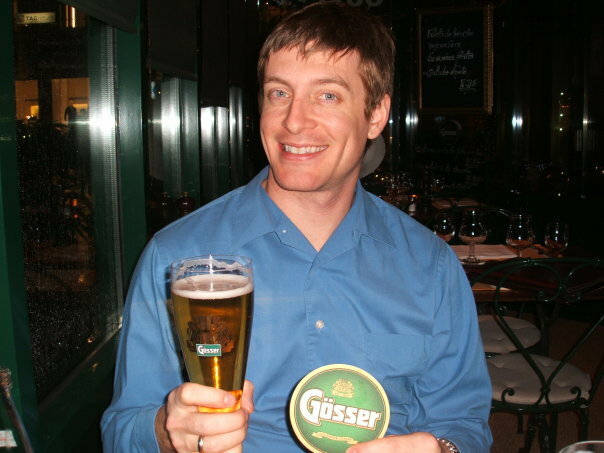 Steve is a Certified Cicerone, Licensed Profession Engineer, and BJCP Certified Beer Judge. 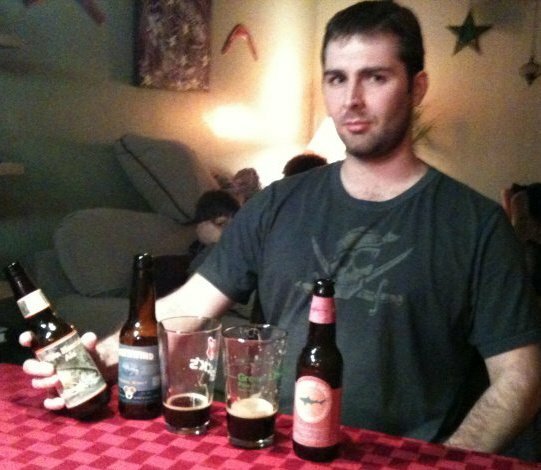 He founded the BeerDownload podcast with Matt Arata in 2009, as the culmination of a year of beer exploration that saw him drink over 1000 different beers in 35+ different states. Besides drinking more than 1000 unique beers in 2009, Steve is typically our beer buyer and program director. But more than that, he LOVES beer! Steve is a longtime card carrying member of the Chicago Beer Society, and joined the CBS board of directors in 2012. He is now President Emeritus of this storied beer institution well into it’s 5th decade. He has experience with beer event planning and organization, including the premier barrel aged beer event and competition, the annual Festival of Wood and Barrel Aged Beer (FOBAB). When Steve isn’t drinking beer, or organizing events so he can drink great beer with hundreds of his closest friends, he dabbles in homebrewing and barrel aging, and believe it or not is a licensed professional engineer who has also been known to inspect a bridge or two from time to time. Arata continues to expand his beer horizons each and every week at BeerDownload, while focusing on technical production for the podcast. Arata is fond of many beer styles, especially European lagers, bocks and dopplebocks, and more recently he has been enjoying Belgian IPAs. He also has a degree in theatrical lighting from the University of Illinois, where he and Steve met as freshmen living in the same dorm. When Matt isn’t producing podcasts or designing lighting for community theater productions, he helps ensure the internet continues to run smoothly. In less than a year, Ben went from lover of all things Miller Lite, to craft beer enthusiast. He used to tell people “I only drink beer that tastes expensive, but I don’t know what that means.” Now he knows what it means. Ben has liked IPAs since his first appearance on the show, and is now the BeerDownload sour beer specialist. He also occasionally works on the website. No one is entirely sure what Ben does in his spare time, but it’s rumored that he’s a halfway decent poker player, and that he honed his poker skills playing Magic the Gathering with Steve when they were in high school. He also keeps various manufacturing processes humming along smoothly, and even designs and implements said processes from time to time.